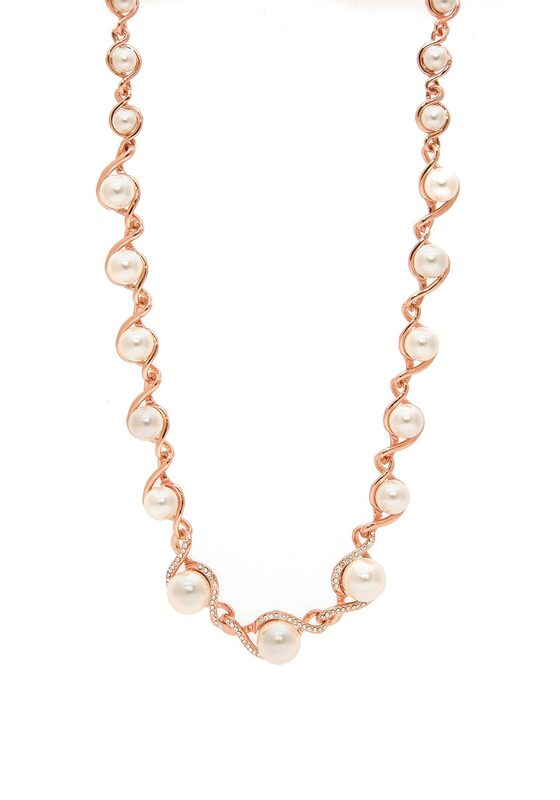 This short pearl studded necklace by Absolute oozes glamour and sophistication. 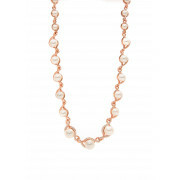 A mixture of small and large raised pearls sit on a small rose gold plated chain. The front most pearls are linked by small clear white crystals to add a touch of sparkle. This necklace is ideal for any dressy occasion and also offers a matching bracelet.